I was nervous bout buying a car I didn't really want to spend a fortune. I heard about off lease the prices were great but I was a lil skeptical cause the prices were too good. Great mileage the Vin number is available so you cab do your own research. I had great service the moment I walked in.. they have any car you want u will be returning to purchase another vehicle. "My best buying experience "
I went to off lease where I was recommended to go where I met my salesman ,Martin Reid . He was very patient ,honest and helped me to chose a nice Infiniti ax35 he shows me how to research the option and what's important look for the sales manager Seth Finko who also very helpful and made me easy wait the process . The finance manager were Aldo very nice, and patient also ,I'll definitely recommend offlease to anyone who want to buy a car and to have a nice experience . "Best Option For Your Next Vehicle!!!!" We got the best deal out there for sure! We did tons of research and we definitely got the best value for our dollar! Stefanie, our sales associate was great! She was super knowledgeable, totally accommodating, polite and very patient. She was very helpful and was a great communicator. She delivered everything that she promised. She made the buying experience seamless and pleasurable. This is our fifth purchase from Off Lease Only and we recommend it to everyone out there looking to purchase a vehicle! "Great Deals, Great Staff, Great Treatment"
Had a great experience with our sales rep Gabe. He was very open and honest, really friendly and really worked hard for us. Finance Manager Paul was experienced and very helpful in explaining the pros and costs of getting additional coverage. We had our eye on a Mazda 5 and one turned up at Off Lease Only, It was their first day open at this location. The staff could not have been more welcoming or helpful. They truly work as a team to accommodate their customers, Our impression is that this is an honest, no frills operation. We took their advice and had the car checked out at a local mechanic (of our choice). A few small issues turned up and it has a couple of minor "dings" but we decided to go ahead because the pricing is good. The operation is efficient and by the end of the day, we drove away with a new (older) car. You need to know that cars are sold "as is" but there is no up-charging and no pressure, although they do try to sell you their warranty package. The Mazda warranty on the power train is valid for the first owner only but we did get the remaining balance of the original manufacturer's 3 year/36,000 mile warranty. A few hints: if you are replacing another vehicle and not planning to trade it in, bring the license plates from that car with you. Otherwise you have to pay a for temporary tag. Also, if you are from out of state, get a certified check from your bank. Finally, bring proof of Florida insurance and the registration for the car you are replacing. All this saves time (and money). Being one of the first clients is never the ideal situation. I had a good experience with my sales person German Vanegas on his first day and first sale. I recommend German! Call and ask for him. Because of a low appraisal on my trade in I left! German got the dealership to pay a little more, and got me back in to take it home that day. Get down to Off Lease only and German will help you too.... thanks! This was my first car buying experience! The employees here want to get you in whatever car will work for you and meet your needs. Period. That's the goal. Gabe was my salesman, and he was just the best. No pressure, very patient, very polite but still straightforward, positive attitude, immensely helpful. I cannot stress enough how comfortable it was to work with him. Once I had made a choice he walked me through everything and I met Seth, who helped expedite and checked in on me throughout the process. 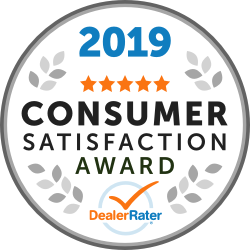 The price was excellent, the staff was exceptional, and I can't thank them enough! "Great experience . Great customer service "
Visited Off Lease Only , Fort Lauderdale on their opening day . Received great customer service from Arturo Morales. He was attentive , courteous and knowledgable. Other staff even those not directly involved in the sale of out car were also very courteous .